I was so excited to win this Philosophy Giveaway from Kimberly on her blog, Libby's Pink Vanity! 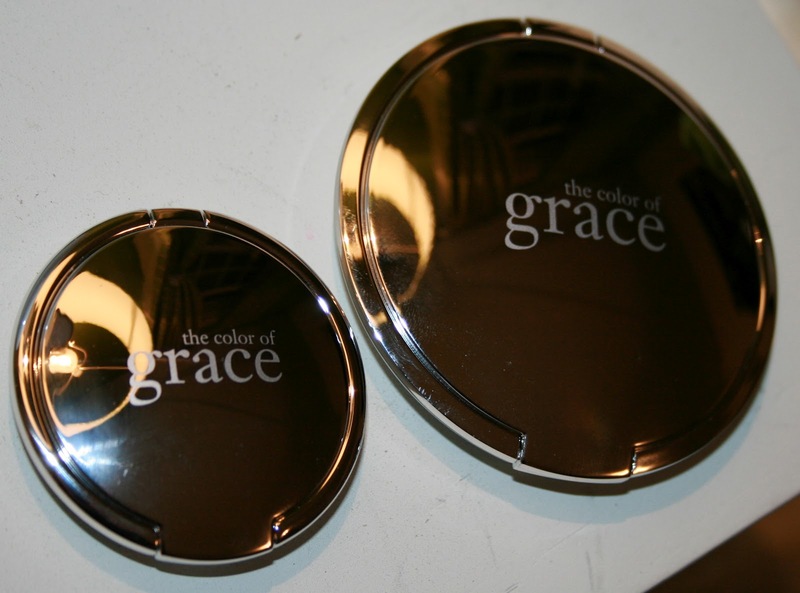 It was just for the Amazing Grace Shimmering Face Powder, but she sent me the Eyelighting Shadow Duo, too! So sweet and generous! Kimberly spotted a ton of Philosophy cosmetics at Big Lots. Check out her post HERE to see everything she found and her swatches. I have never been to Big Lots but I may have to find one! She found some great things and did you see those prices!?! I really like the mirrored compacts, but they are hard to photograph! sorry! I love, love, love Philosophy! They make some of my favorite fragrances and I love their bath and body products. I also love a lot of their skin care products like Purity cleanser and Hope in a Jar moisturizer, but I have not tried many of their cosmetic items. So, I was thrilled to win this giveaway! Thanks so much Kimberly! These colors are universally flattering, smooth and easily blended. I love them! Have you tried any Philosophy cosmetics? What are your favorite Philosophy products? I'm happy to see you enjoy them. They are amazing and to find them at a bargain...Yippee! And to share them with you...Double Yippee! I also found those at Big Lots and also got the illuminating pink highlighter. Haven't tried the face powder yet, but like the highlighter - it adds a nice glow, and it feels like it tightens my skin. I wore heaven/earth today - beautiful neutral colors, but the brown was pretty sheer. I had to build it up to see it (and I have really fair skin) and I couldn't use it as a liner. I own one of each scent of perfume and body lotion. Unconditional love is my go to smell as well as inner grace. But I do love them all. Just restocked all the lotion this past aprilmfor my birthday.